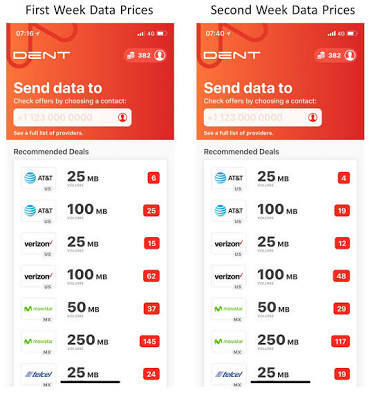 “Dent App” gives you free internet data on any network when you download it on your Android device. On first download, you get 30 Dents worth 150MB which you can send to your phone. It helps you send mobile data to friends and family easily. This is the best free data app that gives lots of free mobile internet data for browsing and downloading on your devices when you download the app. Dent App Apk is a mobile data topup app recently launched to also help you buy data on networks such as MTN, Tigo, Cell C, AT&T, Airtel, 9Mobile, Glo, Verizon, Movistar, telcel, Vodafone, Orange etc if your run out of free dents. You also get free data reward when you download the app and when you share the app with your friends through your unique referral link. In fact, you can make small money with Dent app as you use it. Dent App is currently available in Nigeria, South Africa, United States, Mexico, Ghana, Kenya, China, Indonesia and Brazil but the developers promised to add more countries to the database soon. 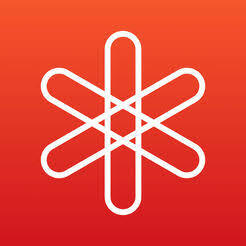 In fact more and more countries are being added so you can now download Dent App Apk to get free internet data for browsing, downloading, chatting and streaming videos on your Android, PC, Modem or any other internet enabled platform. You can redeem or cash out your Dents as mobile internet data from your favorite network provider. You can also buy Dents with PayPal or refer friends to earn more Dents. You stand a chance to get unlimited data with more dents. Now to get even more dents, click on “INVITE NOW” to share your unique referral link with your friends on social media. Once someone downloads and sign up through your link, both of you gets free 20 dents. Interesting right? That’s how Dent App works, so what are you still waiting for? Start accumulating dents to get more internet data free of charge. Note that Dent app works on both Android and iOS devices and for Android, you must have a device running Android 5.0 and above. Solution For Airtime Sold Out? You may have noticed that recently some of the Nigerian networks like 9Mobile, Airtel and Glo has been labeled as “sold out” on dent which means you are no longer allowed to buy or get mobile data from those networks. So what is the solution to this sold out issue? Personally, I believe it’s because of massive patronage from Nigerians but it those networks will return back soon. Another update on the dent app is that users are now allowed to buy data only twice per day. You are also not allowed to get the data under the space of 10 minutes. I.e, after requesting for data now, you have to wait for 10 minutes before you request for the second and final data of the day. This app has helped me a lot recently in terms of internet data acquisition because I rarely buy data with my physical money as I now get free data through Dent referral bonuses and I believe you too can enjoy this awoof as well.